Home and Furniture is a family run business that has been in the furniture and interiors business since 1993. Our philosophy is that your home should reflect your own individual style and aspirations. To achieve this your furniture needs to fit your home. Our own exclusive products are handcrafted to order allowing us to customise each piece to fit your personal requirements in terms of height, width and detail. Our workshops have now been making their own furniture ranges for 15 years and pride themselves on quality and reliability. Over the years a solid rapport has been built with Canadian timber suppliers that enables us to provide quality furniture at competitive prices. Our attention to detail using the finest materials, combined with an efficient delivery service, offering 4-6 week lead times, with full manufacturers' warranties gives our customers peace of mind with an enjoyable purchase experience. Our aim is simply to provide quality furniture at competitive prices with a friendly and efficient service. 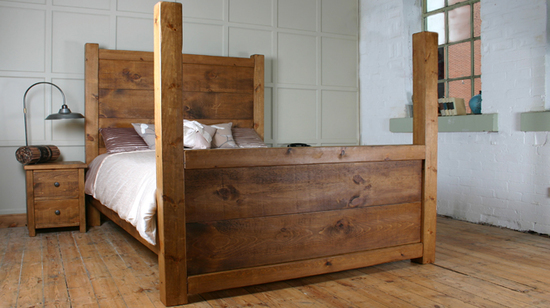 Our furniture is handmade to order and as such is currently taking 8 weeks to manufacter and deliver. It will be delivered be our 2 man delivery team and assembled in your home. Please await a member of staff contacting you regarding a delivery date as this may be over the 35 day delivery time indicated.